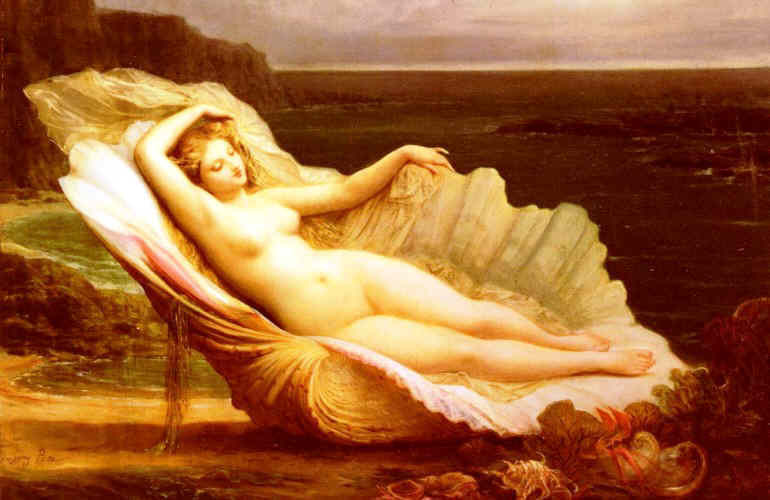 The picture of Aphrodite and shell from Ancient Greek Mythology depicts a scene from a myth about the goddess and the character that was associated with her in a story, or myth. The stories and pictures from Ancient Greek Mythology are based on the legends that surround the gods and their families. The principle gods are detailed in the Greek gods family tree and genealogy.